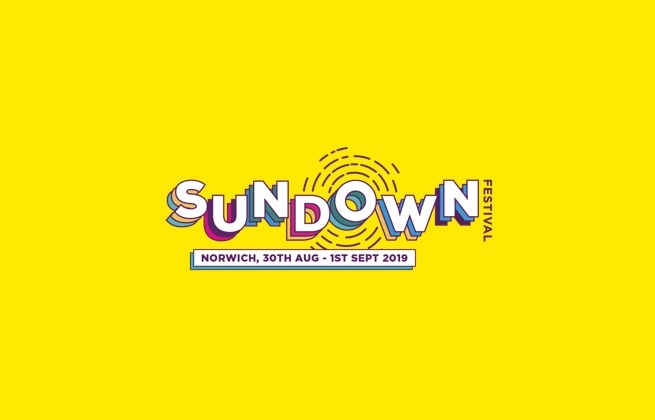 This ticket allows general access to the Sundown Festival 2019 on Sunday 1st September. 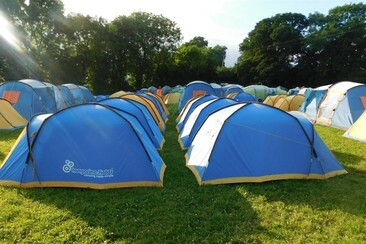 Access to camping or parking is not included. This ticket allows general access to the Sundown Festival 2019 on Saturday 31st August. 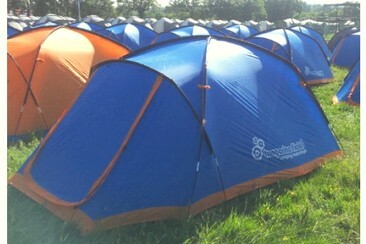 Access to camping, parking or Saturday Night Afterparty is not included. This ticket allows general access to the Sundown Festival 2019 during the weekend, Saturday 31st August - Sunday 1st September. 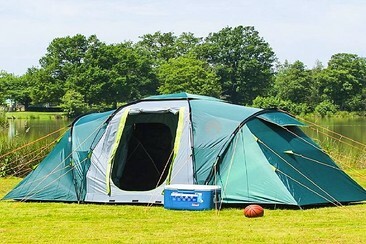 Access to camping, parking or Saturday Night Afterparty is not included. This ticket allows access to the VIP Area of the Sundown Festival 2019 on Saturday 31st August. VIP Area benefits include a backstage view, guest bar, street food, undercover seating and toilets. VIP Add-On tickets must be purchased in addition to your entry ticket. This ticket allows access to the VIP Area of the Sundown Festival 2019 on Sunday 1st September. VIP Area benefits include a backstage view, guest bar, street food, undercover seating and toilets. VIP Add-On tickets must be purchased in addition to your entry ticket. This ticket allows access to the VIP Area of the Sundown Festival 2019 during the weekend, Saturday 31st August - Sunday 1st September. VIP Area benefits include a backstage view, guest bar, street food, undercover seating and toilets. VIP Add-On tickets must be purchased in addition to your entry ticket. This ticket allows general access to the Sundown Festival 2019 from Friday 30th August to Monday 2nd September. 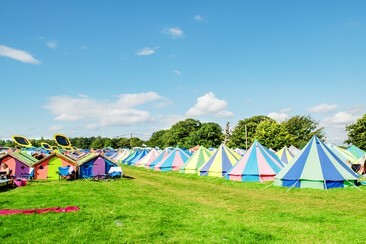 The benefits of the Weekend Camping Ticket include: - Access to all the acts on Saturday 31st August and Sunday 1st September - Access to the Friday Opening Party and Saturday Night Afterparty - Access to the campsite Please note: Entry to the car park is not included in this ticket; it will be sold at the festival. 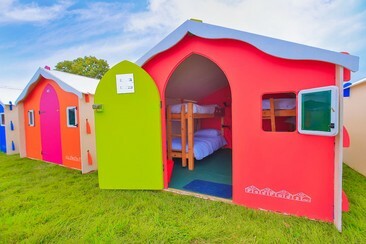 Bellepads offer an exciting twist to festivals and events, bringing colour and vibrancy to boutique camping fields. Choose from basic, standard or luxury options. 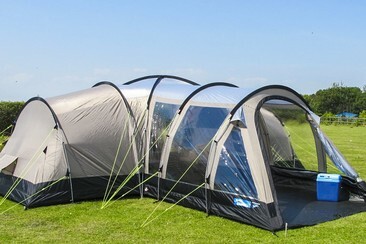 All Bellepads are supplied with heavy duty ground sheet, carpet, coat hooks and LED lantern. 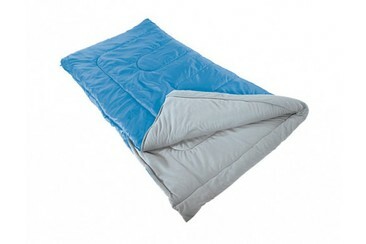 Standard Bellepads also include camp beds & sheets. 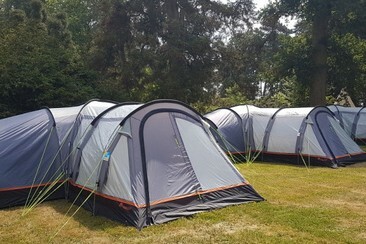 Luxury Bellepads include: - Wooden beds with foam mattresses & fitted sheets - Duvets, pillows, bed throws, scatter cushions - Bath towels - Mains 240V electricity - Bedside tables, rug, spotlights & mirror, camping chairs & camping tables. 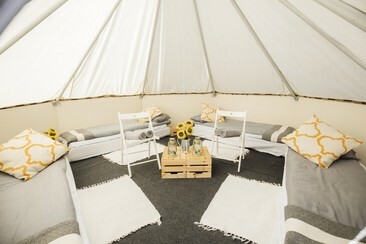 Inspirado no Podpad original, este Luxpad oferece 50% mais espaço e uma altura aumentada de 2 metros, trazendo os confortos de casa a qualquer campo, festival ou evento. 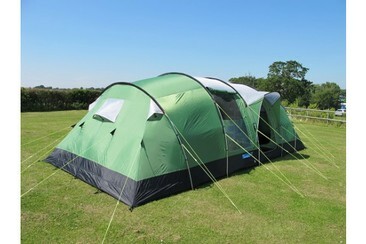 Luxpads measure 2.3m x 2.8m, reaching a height of 2m at the highest point. Standard Twin Luxpad features: - Solid pine beds with foam mattresses & fitted sheets - Hanging shelving, spot lights and mirror, carpet & coat hooks - Lockable wooden door Luxury Luxpad additional features: - Duvet, pillows, bed throws and scatter cushions - Bath towels - 2 camping chairs & 1 camping table. O Octopad oferece um espaço fantástico e funcional para viver e dormir. O alojamento beneficia das características dos Podpads e combina estas com a sensação de dormir debaixo de uma lona, mantendo o chão de madeira e uma tranca na porta. 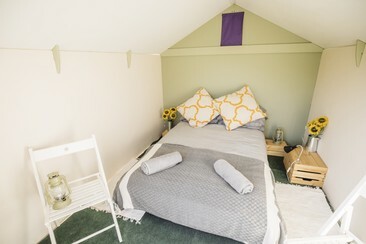 Choose from a Standard or Luxury option... Standard Octopad features: - 4 solid pine single beds with foam mattresses & fitted sheets - Mains 240v electricity - Hanging storage, coat hooks, spot lights & mirror, carpet - Lockable wooden door. 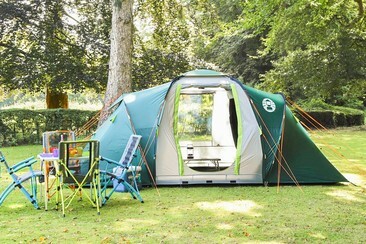 Luxury Octopad additional features: - 4 single duvets, pillows, bed throws & scatter cushions - Bath towels - 4 camping chairs & 2 camping tables. The Brook Hotel is a beautiful three-star hotel on the outskirts of Norwich, a fine city in the heart of Norfolk. 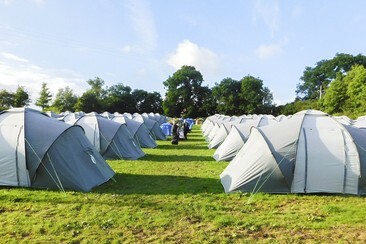 The Norfolk Showground hosts lots of exciting events throughout the year and the Brook Hotel is the perfect place to stay being only a couple of minutes drive or a 30-minute walk away. 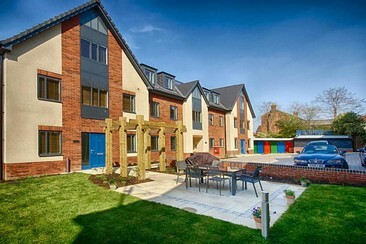 The hotel is located just 3 miles (10 min drive) from the University, Hospital and Norwich Research Park. Norwich International Airport is just 4 miles (15 min drive) away. 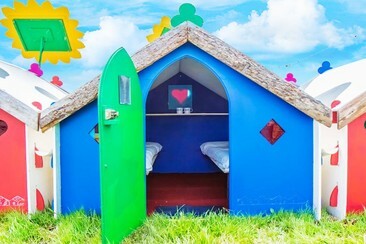 This hotel also offers free parking, free Wi-Fi, a fantastic restaurant and a well-stocked bar. All of the spacious bedrooms at the hotel have plenty of natural daylight, with working desk and chair, flat screen TV, window seat, large double bed or twin beds, direct dial telephone, stationery, towels and toiletries. 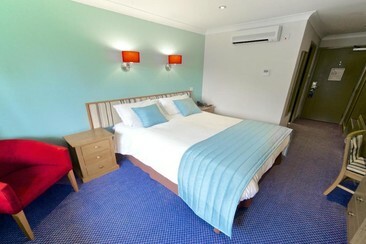 Hairdryers are in all of the bedrooms and you can request an iron with ironing board from our friendly Reception Team. St Giles House Hotel Norwich is a unique four-star hotel in Norwich city centre. This elegant hotel is 0.3 miles from The Norwich Theatre Royal and 0.4 miles from Norwich Castle Museum and Art Gallery. You can explore the bustling city, independent shops, bijou bars, yummy bakeries, the largest open-air market in the country and an abundance of culture; amble through our cities ancient cobbled lanes, visit our galleries and museums. The hotel offers free parking, daily housekeeping, restaurant dining, a stylish bar, a relaxing lounge and indulgent treatment rooms. The stylish, individually decorated rooms feature air conditioning, minibars, tea/ coffee making equipment, free Wi-Fi access as well as the private bathroom with linens, towels and shower. A return coach from Ipswich to Sundown 2019, operated by Big Green Coach. A return coach from Cambridge to Sundown 2019, operated by Big Green Coach. A return coach from Chelmsford to Sundown 2019, operated by Big Green Coach. A return coach from Colchester to Sundown 2019, operated by Big Green Coach. A return coach from London (Victoria) to Sundown 2019, operated by Big Green Coach.